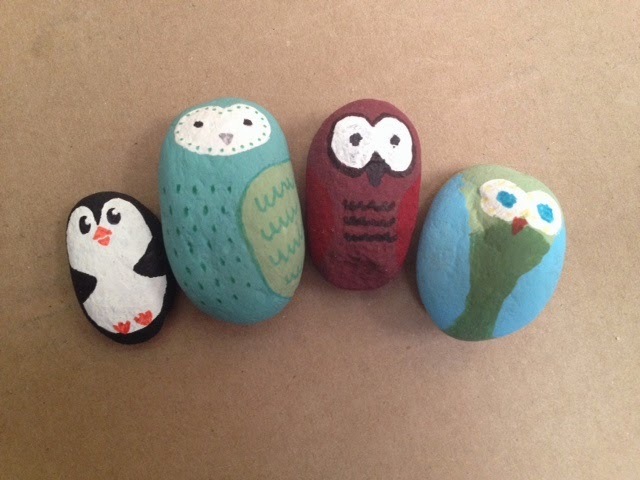 I have been wanting to try my hand at rock painting for some time. 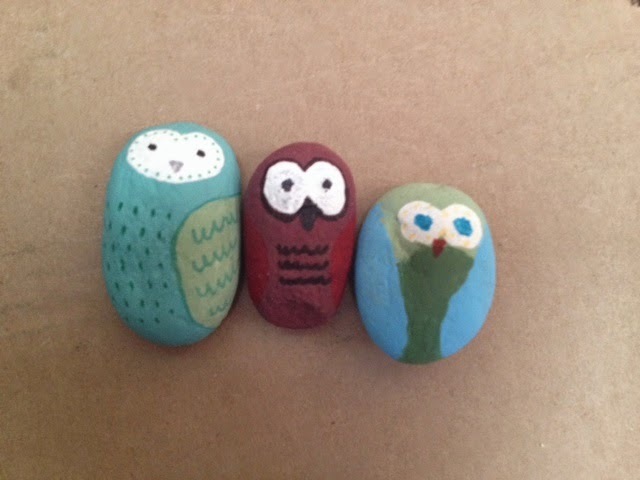 On a recent hike my kids and I grabbed a few rocks from the trail and gave it a go. It was definitely a lot harder than I expected. It takes a steady hand and lots of time to let colours dry as you layer them. My favorite by far was the penguin that I painted. We all tried our hand at painting an owl. The bodies were painted with acrylic paints and details were added with Sharpie markers. 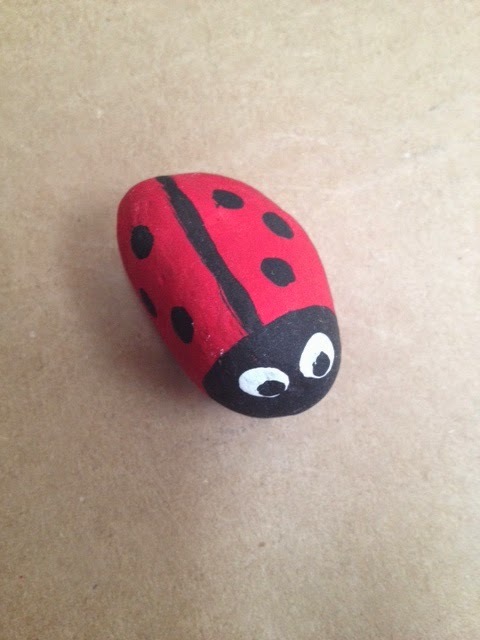 My daughter also made a lady bug. Thank you so much for starting this blog. 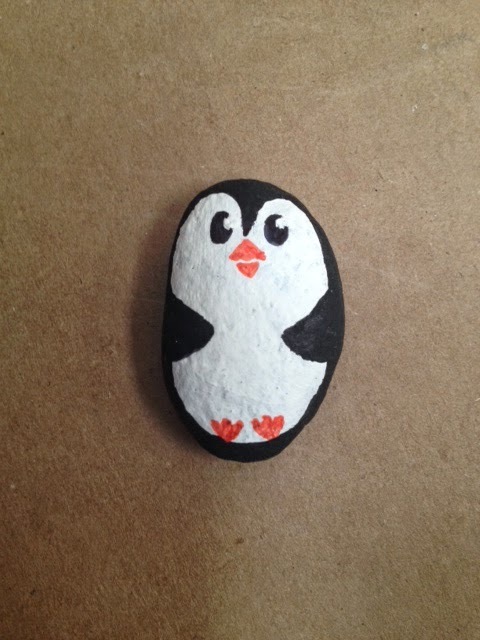 I've just started painting rocks. I find it obsessive and terrifying at the same time. Love the way you show up what to do by taking us through each step - and finishing off the project by Sharpie Markers (just ordered). Love your art and your daughter's. Lovely!